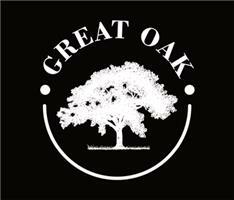 Great Oak - Builder, Landscaper based in Rainham, Essex. Having separate building and landscaping divisions means that we can offer our clients the complete package on every project we undertake. All our trades people are extremely experienced in their fields and take a huge amount of pride in their work. Being customer focused, we work along from start to completion with all our customers, as our aim is always to achieve 100% customer satisfaction. Our landscapers have been transforming gardens for over 20 years. and the years of experience we have has given us a real insight into the best landscaping practices, ideas and products, allowing us to deliver professional landscaping solutions for our clients throughout the year. Our building team has over 30 years’ experience and specialise in many areas of the building trade. From brickwork to roofing and rendering to kitchen fitting. We can provide the perfect space from inside and out, from start to finish. So, whether you are having an extension built, a living room plastered, or a new roof on your home, we aim to make you happy every step of the way. Professional, clean, reliable and stress free. We take pride in ourselves and the work we do and aim to give our clients a great experience throughout the entire project. No problems, hassle free and the only fuss to be made is how fussy we are on the finish of our work.